This is like going through pages of history books; every building has a story; trysting with the first police station and post office of East Africa, century old buildings still retaining the old charm, wandering through the remnants of the bygone era when Mombasa used to be the center for slave trade, spying on the local life which carries an air of cultural confluence and breezing the scent of antic spices. The entire tour, covered entirely on walk, will bring you up close to the perfect intermingling of cultures as it happens in the narrow lanes of the old town. There’s as such no official ‘to do’ list in Mombasa, infact there isn’t much to do there. The beauty of the place is just existing there, beauties that are better explored in conversations and stories than in pictures. 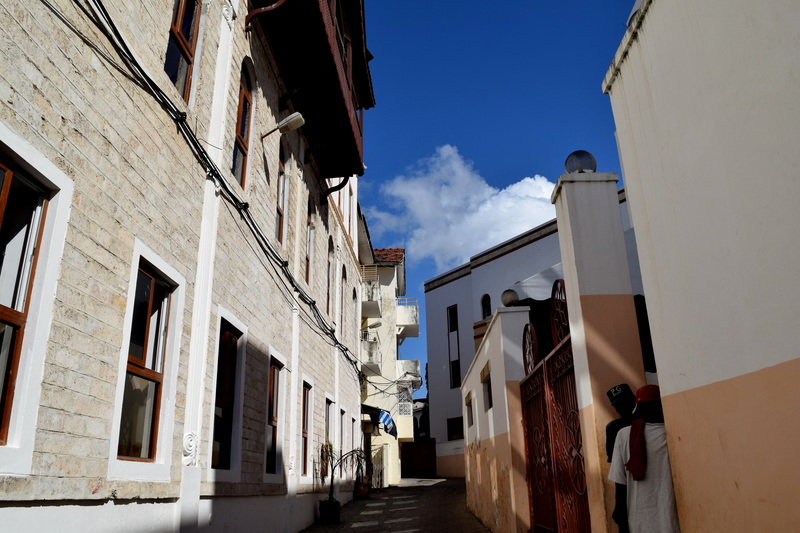 These convoluted streets with its mélange of Arabi, Indian and British architectural influence, with the hanging timber balconies and aesthetically carved wooden doors – is a place to experience the ebb and flow of Swahili-Arab-Indian culture. There are more than twenty mosques in this area, with each boasting its unique architecture, there are houses flaunting the carvings on doors, laying bare the architectural secrets acting as cultural ciphers and then muddled among these are African antic shops which houses riches of African art and culture. So the best way to know about this old town, is by wandering around and finding small shops to poke your head into and starting a conversation with them. There are stories strewn around this place. With history that dates back to 900 A.D and laden with cultural and ethnic strife, to the extent that this small trading center earned the name ‘Island of war’, Mombasa is meant to hold secrets and tales of evolution. Such were the conflicts that Fort Jesus, built as a garrison by the Portuguese, was won and lost for nine times around 17th and 18th century. The Omani Arabs won it after a siege which lasted three years and cost thousands of innocent lives. Your guide can tell you tales of such painful cries that can still be heard in the Fort. Yes, the fort is said to be haunted!! Gifted by Sultan of Zanzibar to the British in 1900s, Mombasa grew as the main trading center for East Africa. In 1899, tracks for the famous Lunatic Express from Mombasa to Kampala were laid, establishing it as a center –point of slave trade in East Africa. The slave market, has now been turned into a spices market, but notes on slavery trade inscribed on the walls are still preserved. 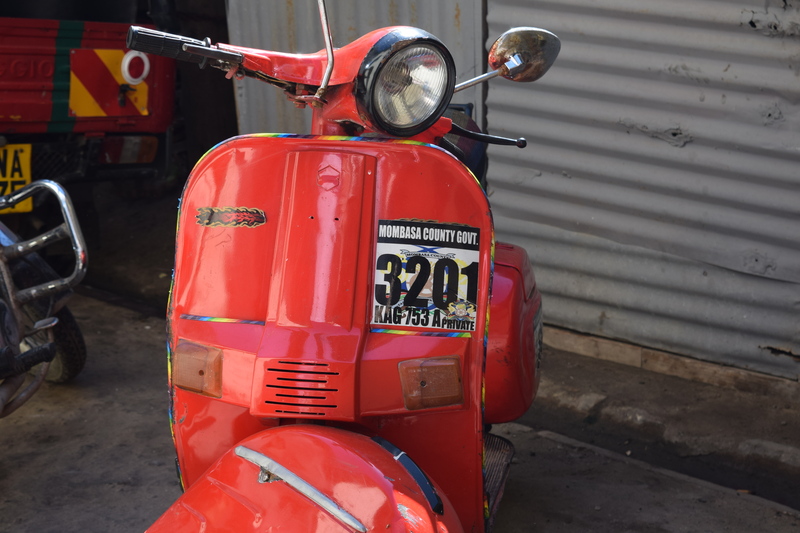 Colour catches your attention as you enter Mombasa, reds and greens and blues on shops fronts and signs, and on the damp, dilapidated buildings that speak of former glory days. I halted at the Jahazi coffee, to get the perfect cues, mark my places and then explore this pulsing, chaotic yet exuberant town. Interestingly, Kahawa Tungu, as coffee is called in local language, can still be found being served in traditional Arabian urns, in these old coffee shops. Jahazi coffee is a century old shop, At a little distance from Jahazi is kenya’s oldest mosque Mandiri Mosque and then Africa’s oldest post office and a fish market; the catch was yet to arrive as the Dhow (boats) were set to sail to Zanzibar – the boat named S.S. Bombay which once used to connect the slave markets of India and Mombasa. In the same boat were brought Indian labourers to build the Lunatic Express, East Africa’s first railway line. 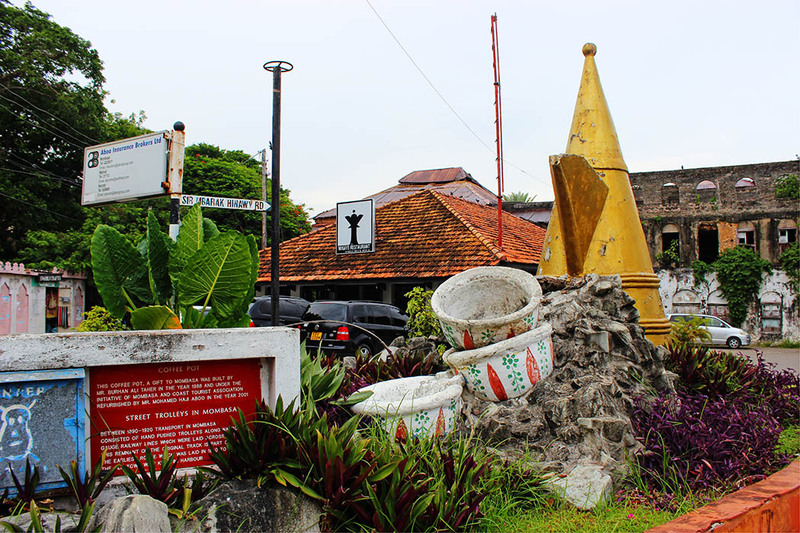 In the same crossroad is the house of the pioneer of East Africa, Allidina Visram, the first non-english trader in the region. Today, the area is a settlement of Bohra traders, they have their mosques, schools and occupy the houses, British left. These narrow pavements are a reminiscence of the packed houses which used to harbour British. And then turned a colony of slaves and workers as railway line work started. 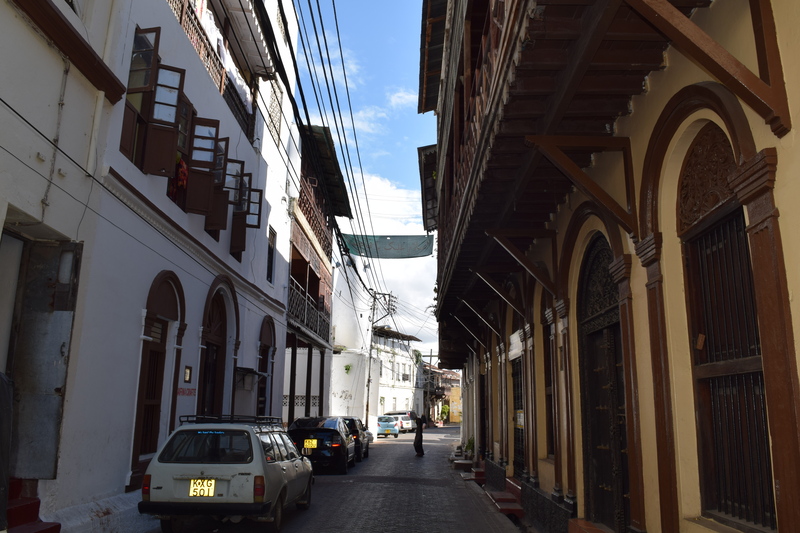 Tucked somewhere in the lanes is the first hotel of East Africa – The African Hotel infact, it used to be shop which stocked alcohol for workers, who used to come and camp in this place. Later it was turned into a hotel. But probably this is one of the places where coastral culture emanated and enables the onlookers to draw a mental picture on what used to happen and the current changes in the way people live. The most redolent of the buildings here, which to a great extent reveal the glorious past, this place has seen, is the Ali’s Curio Shop, located On Ndia Kuu Road, bordering Reitz House, the presumed site of the Old Portuguese Church, Mombasa House and White House, the Lookmanji and Jubilee House; all historic points. Started as a police station, this was later used to house British houses, which was later transformed to the Nazareth Bar and then later to Curio Shop. The building still wears the same, old aesthetic look; look at the shade on the walls, to allow fresh air to enter the building thus, adding to aesthetical harmony of the portico with its Swahili curved brackets, the neatly glazed and shuttered windows, pitched roofs decorated with gabled windows and scalloped woodwork. These narrow pavements (now Bohra settlements) are a reminiscence of the packed houses which used to harbour British. 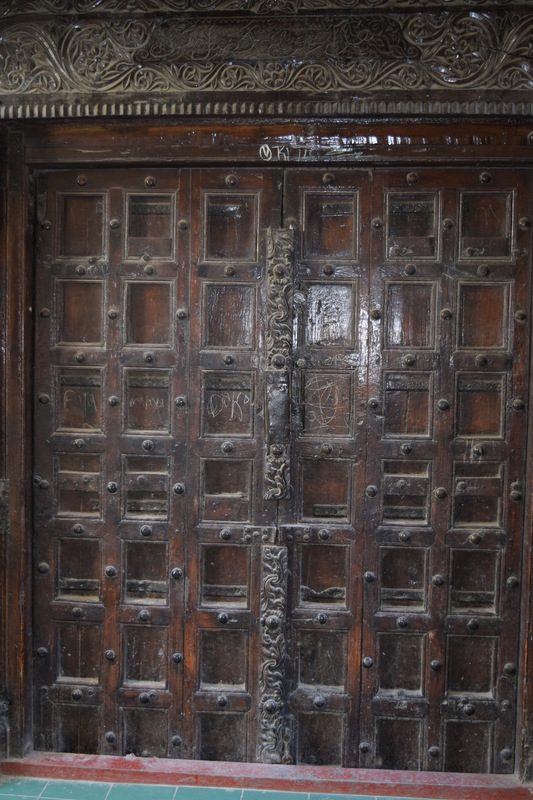 Apart from these old standing building, one thing that is destined to attract your attention are the doors with intricately carved designs. Some of these designs are also found on the furniture in upscale hotels. 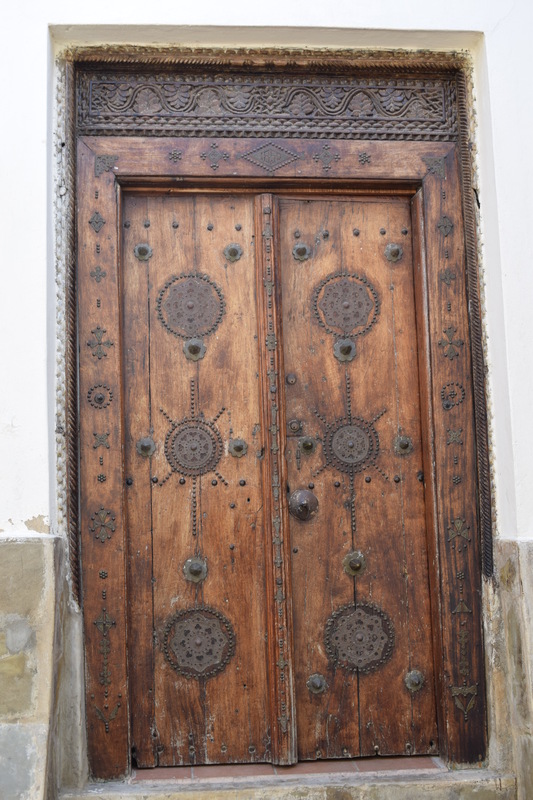 Every community had a specific pattern for designing and the carvings alone can help you identify the residents of that house – so be in game to differentiate between a Lamu and a Zanzibar design, and an Arabic, Swahili, British and Indian carving. The other part of Old Town will give you another milestone in the quest for history by taking you to the Datoo Building, Basheikh Mosque, and Piggot Place, passing through the Old Town and an outstanding Hindu Temple. 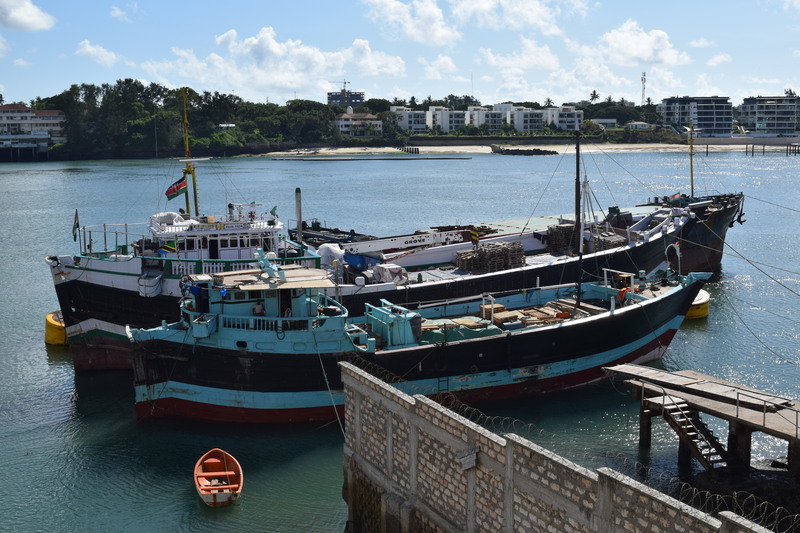 Another part of the historical discovery that cannot be bypassed is the Old Port, which was also known as the slave port and was once the busiest port of East Africa. I am sure, this two hour walk will be like a cultural kaleidoscope for you, unravelling the secrets buried in these two lanes, while you zigzag your way finding old mosques, museums, historic buildings and the insistently magical atmosphere of Old Town, which will no doubt have you feeling like you’ve stepped back in time. Is this what the County Police uses? The name Mombasa was not the original name of this town. Due to wars in the town, (vita) the name Mvita was coined and later modified to “mambo ni sasa”, to mean (things are now). 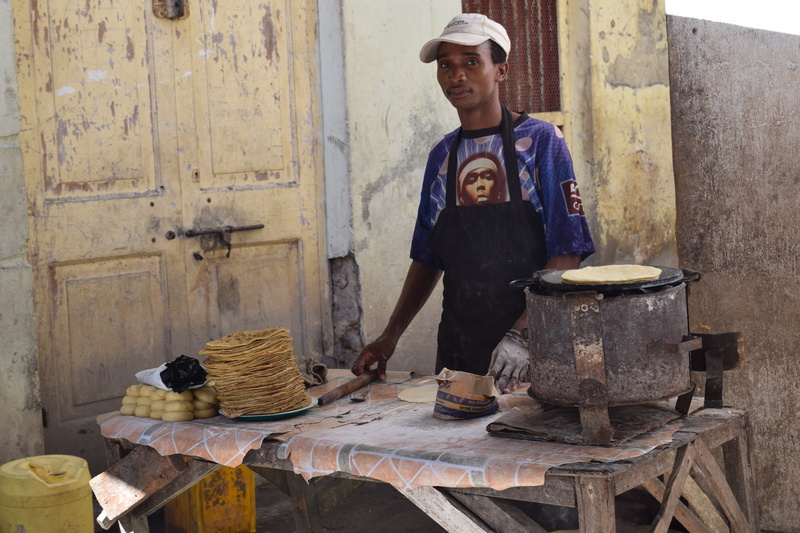 The name Mambasa was fabricated by the British from the 1st four letters of MAMBO and the last 3 letters of SASA where we get MAMBASA, which was later changed to MOMBASA for easier pronunciation.